Strong demand for retail investment property in Melbourne’s sought after fringe suburbs has fuelled a flurry of transactions totalling more than $7 million. Earlier this month, a crowd of more than 80 people attended the auction of a two-level commercial property at 52 Bay Road in Sandringham. Positioned on a 730sqm landholding, the 522sqm building is fully leased to six commercial tenants, returning an annual income of $124,400. CBRE’s Rorey James, who marketed the properties with fellow agents Tom Tuxworth and Jackie Hannah, said the property was hotly contested by both local and offshore buyers. 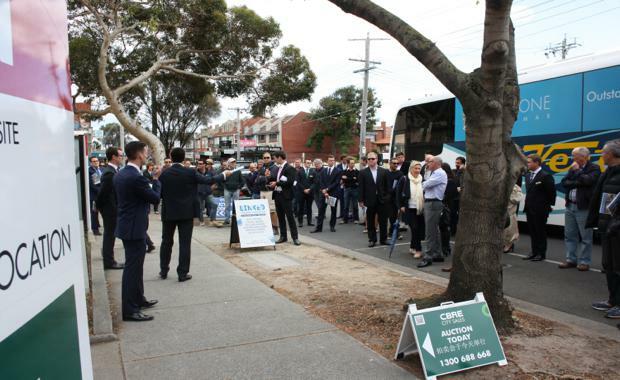 “The auction saw an extended period of aggressive bidding from nine different groups, with the property eventually knocked down to a Chinese buyer for $3.09 million. This reflected one of the strongest land and building rates achieved in the area, selling for $5,919 per square metre of building and $4,232 per square metre of land,” Mr James said. In further testament of appetite levels for strip retail investment properties, an owner occupier recently secured a freehold asset at 316 Church Street in Richmond for $2.25 million. The property, which sold at the end of 2012 for just over $1 million, is located on a prominent corner site with frontage to Church Street. Meanwhile, a Melbourne investor has purchased 282 Bay Street for $2.4 million prior to auction, reflecting a yield of 5.5 per cent. Located in Bay Street Brighton, the property is leased to popular Italian restaurant IL Caminetto. “Following two previous attempts to auction the property via local agencies, we were able to sell the property before auction for a price approximately $500,000 above where previous interest in the property had been received, highlighting the significant depth in the buyer market and buyers aggression to secure these properties prior to auctions,” Mr Tuxworth said.